Open to all Potomac Valley Swimmers Registered as USA Swimming Athletes and invited teams who are Registered USA Swimming Athletes. All athletes shall compete at the age attained on the first day of the meet. All events are timed finals. All events will be swum slowest to fastest. A contestant can enter no more than three (3) individual events per day. No on-deck USA-S registration permitted. Individual events will be awarded first through tenth place. Relay events will be awarded for first place through fourth place. A heat award will be given to the winner of each individual heat. All certified officials wishing to volunteer to work this meet please contact the AAC Officials Chairman, Ted Berner, 703-538-5238 or e-mail tberner@verizon.net, prior to February 7. Please include your club affiliation, certifications held and sessions you wish to work. Officials volunteering should sign in at the recording table prior to the start of Warm-ups. Certified officials who have not previously advised of their availability may volunteer their services to the Referee at this time. Each club is requested to remit one check, payable to AAC BOOSTERS, to cover the entry fees for the entire team. Please do not send cash. Meet Directors have been instructed not to accept telephone entries. Late entries are $ 10.00 per individual event and must be submitted no later than 30 minutes prior to the first event of each session. Meet Director reserves the right to limit the number of late entries. Late entries accepted on first come first serve basis. No late entries for relays will be accepted. · Disk Entry's required. 2 diskette's with file(s) name, a meet entry report by swimmer and meet entry report by event from the Team Manager Program. Do not use Commlink reports. · Entries may be also submitted on PVS Master Entry Sheet. Teams entering athletes using this format will need to pay a $ 1.00 surcharge per-swimmer. · Also, all entries must be submitted with a complete "Entry Cover Sheet". 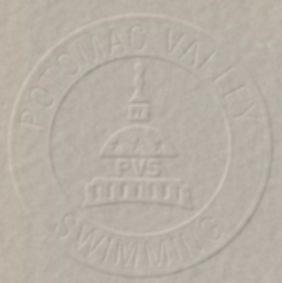 · A signature and phone number of a swim club official must be included with entry for validation of entries. · All team relays must be submitted on their Hy-Tek entry. · No faxed entries will be accepted. · Clubs submitting by e-mail may submit entries to aacswims@yahoo.com, in the subject heading type, "2008 WINTER GATOR MINI MEET - ****" with the club's initials substituted in place of the asterisks. · If entries are submitted by e-mail, Meet Directors are requested to acknowledge receipt by return e-mail within 24 hours. Clubs submitting entries that do NOT receive an acknowledgement should contact the Meet Director by other than e-mail to confirm receipt. · Optional: Before preparing your entries, events for this meet can be downloaded and then imported into Team Manager (download: 35mm021608.zip –now posted). Any club that enters an unregistered athlete, falsifies an entry in any way, or permits an unregistered coach to represent them, will be fined the sum of $100.00; and no further entries will be accepted from the club/team until said fine has been paid. Coaches are responsible for the conduct of their swimmers and families. Please clean your team area after each session, thank you. We ask all swimmers and coaches to sit in the bleachers closest to the locker rooms and ALL Parents to sit in the bleachers on the "cinder block wall" side of the pool. Only swimmers, coaches, and officials will be permitted to be on the "glass wall" side of the pool. The Meet sponsor asks each participating club to provide one timer for each session. The sponsoring club will provide timers for the meet. 5:00 PM., Tuesday, February 5, 2008.